Lysulin® has been shown to lower blood glucose and glycated protein. * Begin healthier glucose management today! Lysulin offers nutritional support to lower your blood glucose levels. 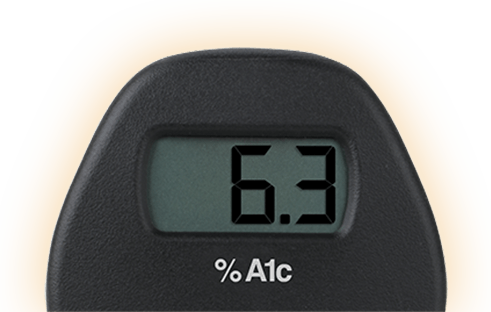 A1c testing: What, why and how? Lysulin is dedicated to the diabetes community. Meet our friends and become a part of our online network. The time is now: Protect your body from diabetes complications. Glucose in your bloodstream attaches to life giving proteins, adversely affecting how these proteins are meant to work. As these undesirable “Glycated Proteins” increase, so do the A1c levels in your body, along with the risk of damage to your heart, blood vessels, kidneys and eyesight. Lysulin is scientifically proven to lower blood glucose and its toxic effect on the proteins vital for normal body. Click the video to learn how! Why Do I Need Lysulin? Better glucose management = Lower AGEs = Fewer complications. 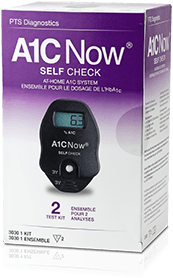 Get your A1c test kit today! Are you in control? 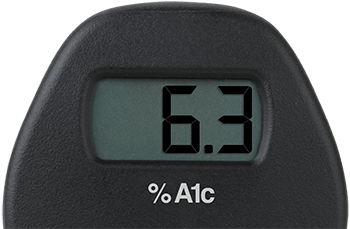 Your A1c result lets you know. See what people are saying about Lysulin® and their blood sugar levels. “I was diagnosed less than three months ago with Type 2 diabetes. I started immediately using Lysulin and Metformin and my HbA1c has dropped from over 12% to 5.8%. I am thrilled. *These are actual customer results. Your results may vary. 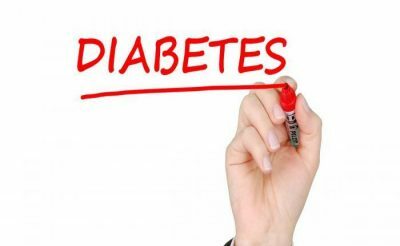 You may have connected your random swelling in legs/feet and sudden bouts of excessive thirst as symptoms of prediabetes or diabetes. But did you know high blood glucose prevents protein you consume from being used by your body? The dramatic fatigue and inability to tone the muscle you have or lose fat may be due to excess glucose reacting with proteins and creating toxicity inside. Lysulin helps your body and diabetic medication deal with glucose excess so protein can be properly absorbed, A1C (blood glucose) levels can improve and you can enjoy your active lifestyle without reservations! Lower Your Blood Sugar Now!